Since Scottish economist Adam Smith published The Wealth of Nations in 1776, arguing the importance of the division of labor and launching the era of specialization, a formal managing role – initially personified by the owner of the enterprise – became necessary to coordinate the diverse tasks and operations of machines and workers. As a modern profession, management is relatively new. It rose in importance during the 20th century as formerly unskilled preindustrial workers transformed into skilled workers, and their increasingly specialized knowledge and skills needed coordinators and supervisors to ensure the attainment of organizational objectives. Although the managerial role subsequently shifted from owners to professional managers, the latter tended to pursue similar goals as the wealthy elite who retained corporate ownership interest. Comparing business owners in two of the largest English-speaking nations, the United States and the United Kingdom, suggests they were quite distinct from each other. The American business leader was typified by Horatio Alger-type stories of rising from the depths of poverty to the height of financial success. The rapid economic growth of the Gilded Age in the decades that followed the Civil War contributed to a stereotype of achievement, suggesting the existence of “equality of opportunity.” This American cultural striving for – and adulation of – achievement reflects the strength of individualism in American society. In contrast, the role of the businessman in Britain and Canada was different. Australian sociologist Sol Encel suggests that the typical representative during the 18th and 19th centuries was not just a male who owned a small business but one who was capable of seizing the opportunities provided by technological change to increase the size of his plant or create a completely new enterprise, revealing “a tradition of hard work, self-denial, the ploughing back of profits and the gradual building up of small firms into large ones.” There was less ruthless competition and vicious battles with trade unions compared to the United States but, similar to the U.S. tradition, British leaders of industry were viewed as “self-made men,” typified by a Scotsman like Samuel Smiles. Encel rightfully alludes to Alger and Smiles for they provided flattering images of individuals who successfully built up their enterprises ostensibly on their own initiatives, whose achievements were admired by their peers and workers alike. There is a notable absence of such images in Australia where, in contrast with these other cultures, Encel observes, “Businessmen, apart from isolated individuals, are not generally regarded as having contributed prominently to the ‘development’ of Australia.” Credit for this largely belongs to members of the working class who championed egalitarianism and preferred flatter hierarchies, often to the chagrin of the more individualist managerial class. As the managerial role evolved following the Second World War, it was no longer seen exclusively in the context of business. 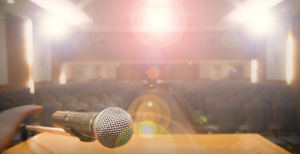 In the words of American management guru Peter Drucker, management “pertains to every human effort that brings together in one organization people of diverse knowledge and skills.” In a modern sense, “management” applies as much to the functioning of nonprofit organizations – from religious institutions, charities, social service agencies and public academic institutions – to the world of business and government. The term “manager,” therefore, signifies a role known by various titles, from supervisor, director and department head, to team leader and coordinator, among numerous other possibilities. Regardless of the title, contemporary managers focus their efforts on controlling, directing or coordinating the work of others. Although the activities of managers have evolved to include a more supportive role to help the work efforts of people by coaching and otherwise supporting their labors, whether first-line, middle or top managers, they have customarily been defined as people to whom other people directly report. This arrangement suggests vertical hierarchy with management above workers, so the term manager applies to holders of positions of authority who not only possess the ability to influence how people work or behave but also indirectly impact their quality of life. 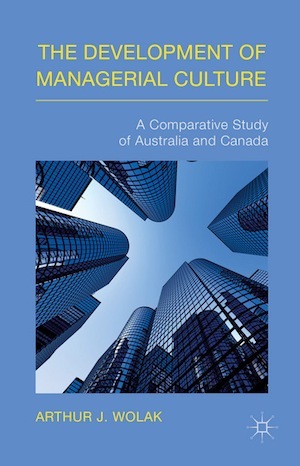 Hence, the origins and implications of differences between Australian and Canadian egalitarianism and the role of political ideology in the development of the managerial outlook expose subtle variances in managerial culture. Management models also provide a window to identify salient Anglo-Celtic cultural features in managerial style. How workers organized is also revealing. Unions in Australia and Canada emerged in the late 19th century as powerful representatives of workers in their dealings with management. In the last quarter of the 20th century, however, there was a rise in employment arrangements with individual employees rather than the workforce as a collective entity, a development that reflects a largely Anglo-Protestant management’s preference to reduce as much as possible union involvement in employment policy matters. Even in instances when union involvement could not be excluded from the bargaining process, the heightened focus on the individualization of employment has been evident in the increased use of performance-based pay systems over job- or grade-based pay, and with greater reliance on individual goal-setting procedures and appraisal, and more direct communication with individuals instead of unions as an intermediary. Prior to the rise of this individualist trend, however, collectivism strongly affected employment policies due to the strength of unions and the ideological and ethnic influences that helped shape Australian and Canadian society. The ideological influences on each culture were not identical. But what do the terms individualism and collectivism mean when applied specifically to the context of management? Above all, they provide a useful way to see influences on labor-management relations. Arthur Wolak is a freelance writer based in Vancouver. He received his PhD in management from Macquarie Graduate School of Management, Australia. He has published articles in Australian, Canadian, U.S., U.K. and Israeli academic journals, as well as written for numerous newspapers, including the Jerusalem Post and the Jewish Independent. This is an excerpt from his book The Development of Managerial Culture: A Comparative Study of Australia and Canada (Palgrave Macmillan, 2015).